Mike Barrett just wrote a fantastic article about our boy, Brandon Roy, and his new lighter physique plus his new lighter Nike's. 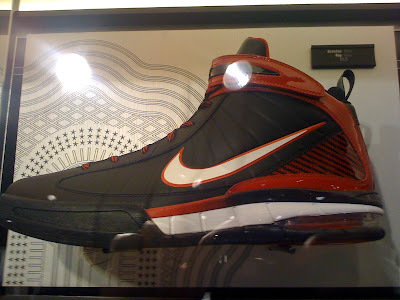 During the 2009-10 season, he'll be wearing the new Nike Air Max Rise, which I must say, are ridiculously smooth. If you click the pic, you'll get the big boy version which will allow you to read the little black tag up there behind the shoe. It appears this will be one of the colorways that Brandon will sport. Love it.